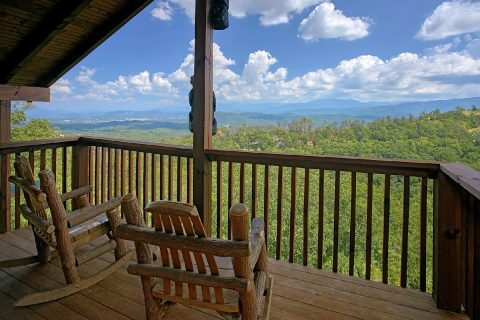 Nestled in the Bluff Mountain area of Sevierville in the Smoky Mountains, you'll find "Lasting Impression." 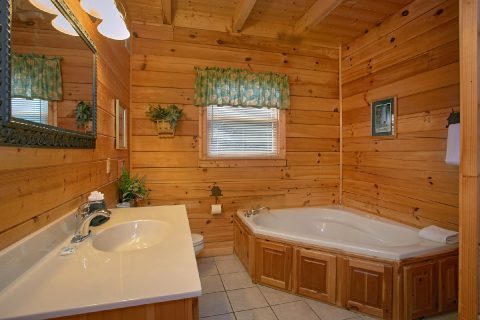 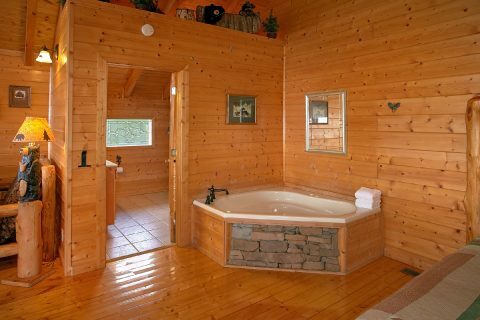 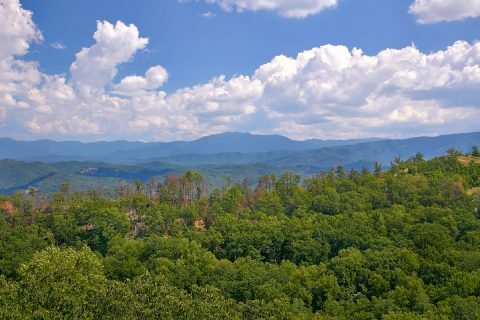 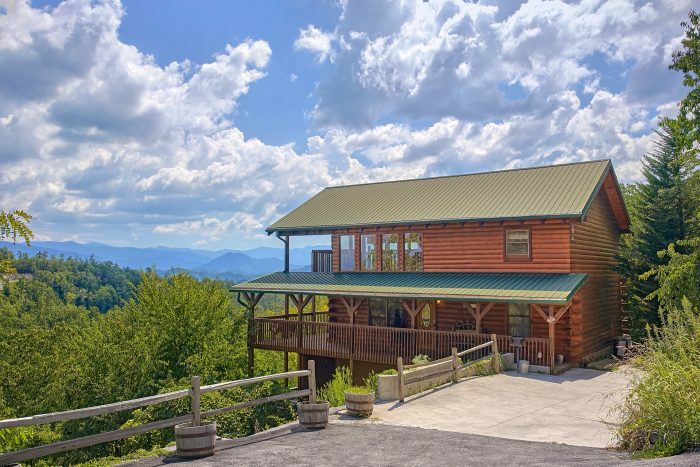 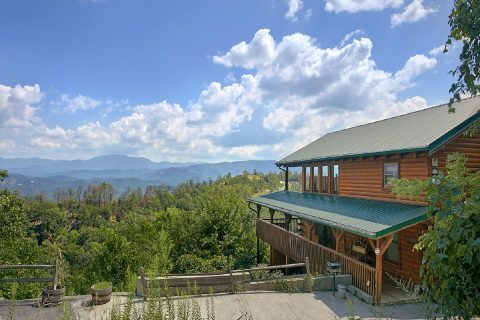 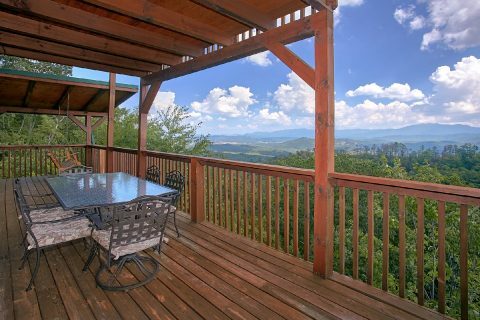 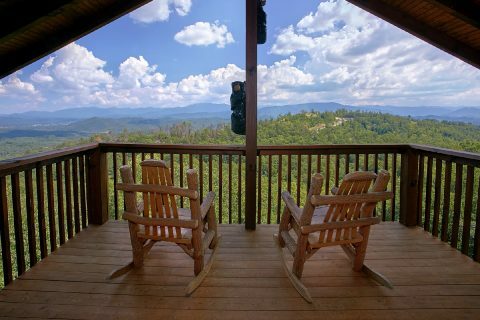 With 3-bedrooms, luxury amenities, and amazing mountain views, this cabin on a secluded property offers guests to the Smokies a beautiful getaway. 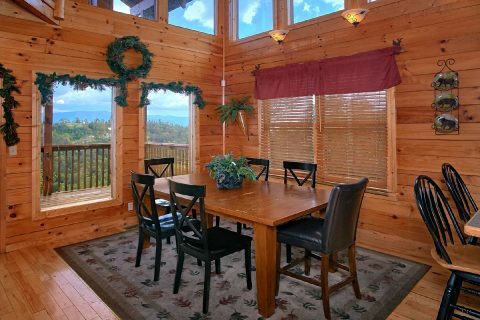 Since this cabin offers room for up to 10 guests, you can easily bring plenty of great company to the Smoky Mountains. 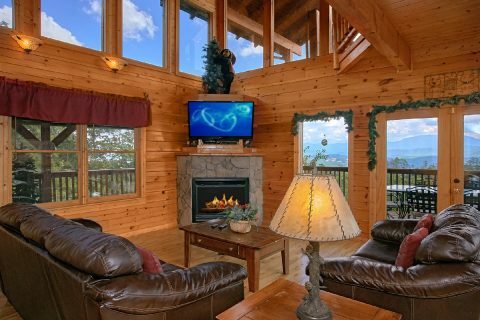 You're bound to make fun-filled memories in the mountains of Tennessee with family and friends. 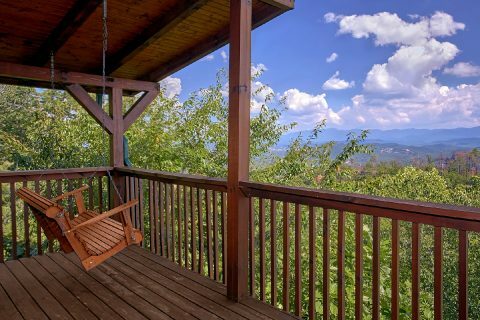 This cabin's mountain views are best enjoyed from one of the covered decks or balconies that feature a hot tub, porch swing, or rocking chairs. 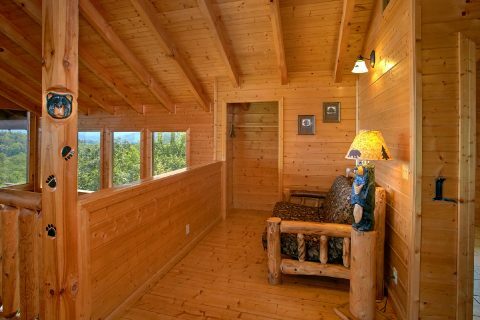 You can also appreciate the mountain scenery from the living room that features plenty of large windows to let in ample natural light. 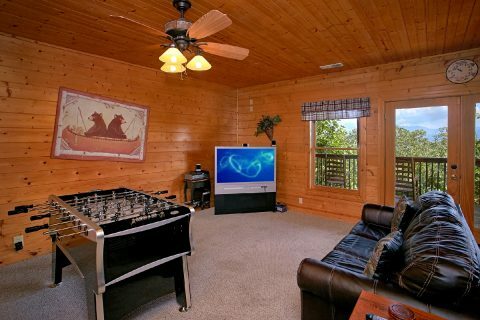 This space makes an excellent place to gather with family and friends around the gas fireplace or watch a movie on the flat-screen television. 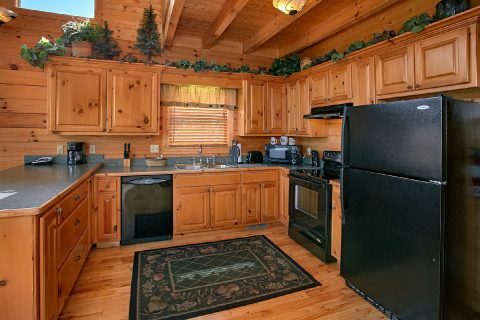 While this cabin is only a short drive away from excellent restaurant options in Pigeon Forge, your cabin with a kitchen offers you the chance to make delicious dinners in the comfort of your vacation home. 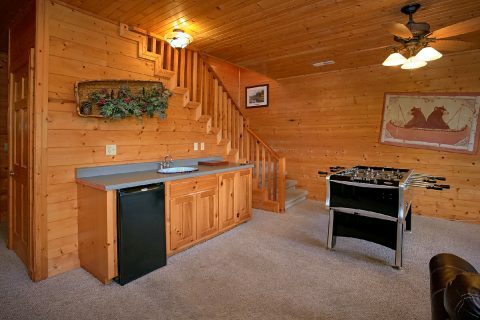 Better yet, you could fire up the charcoal grill to have a delicious barbecue in the mountains. 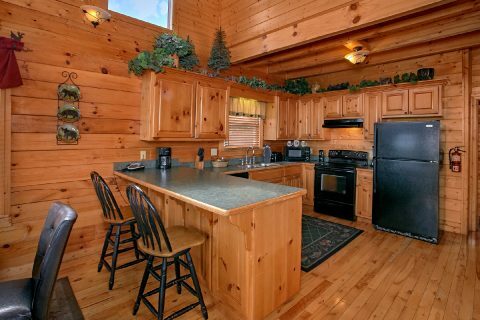 Then, gather around the dining table with seating for 6 and the breakfast bar with two stools. 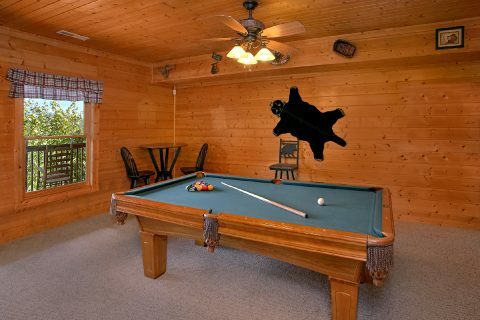 For in-cabin entertainment, head down to the fully-equipped game room that features a pool table and foosball. 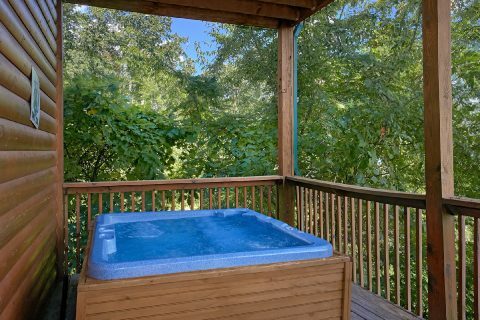 Along with a large screen television, wet bar, and access to the lower deck with a hot tub, this space is an excellent place to relax with the people who matter most. 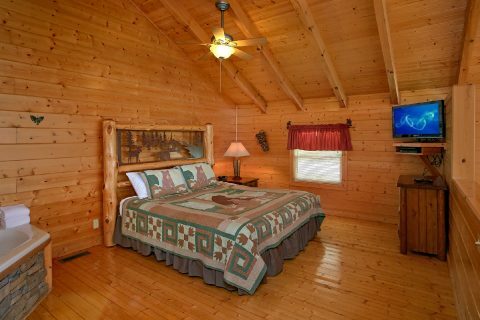 After a great day spent relaxing in your cabin or exploring the national park, you'll be glad to get a good night's rest in one of your cabin's 3 bedrooms. 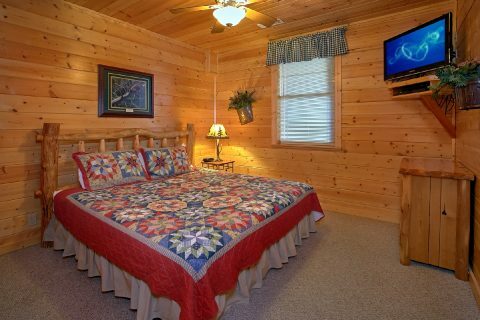 Each master suite features a king-size mattress and a private flat-screen television for relaxing in the evenings. 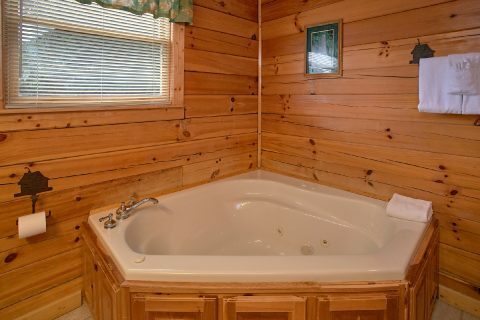 There's one bedroom on each level of the cabin and the main floor bedroom even offers access to a bathroom complete with a relaxing jacuzzi tub. 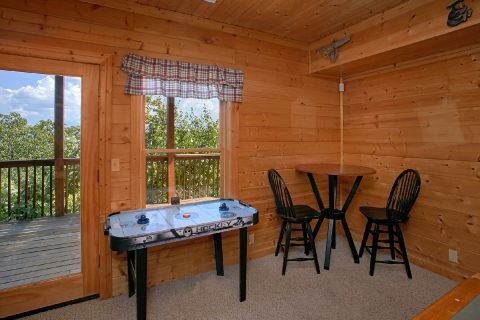 For extra sleeping space, this log cabin features sleeper sofas in both the game room and the living room on the main level. 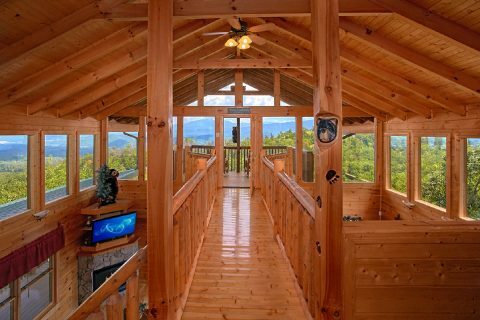 When you reserve "Lasting Impression" with Cabins USA Gatlinburg, you'll save 15% on your nightly rate for this luxury cabin with everything you need for a fun, relaxing, and quality stay in the mountains of Tennessee. 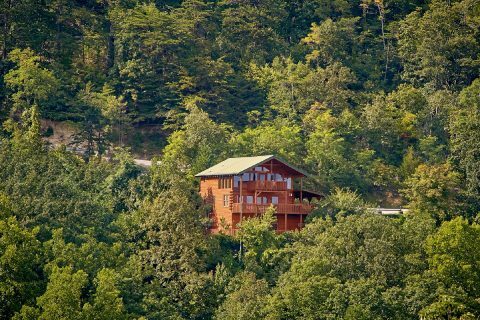 Save on a truly luxury cabin that's perfect making memories with family and friends!